YouCanQuit2, a U.S. Department of Defense (DoD) program, is an educational campaign for the U.S. military. Originally launched in February of 2007, the mission of the campaign is to help U.S. Service members quit tobacco—for themselves and their loved ones. 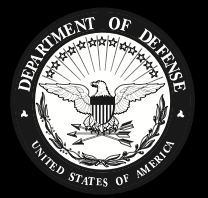 The site supports the DoD’s efforts to build and sustain a ready and resilient force by providing resources for Service members, as well as their family and friends and health professionals. Contact us for more information about the program. Service members balance demanding jobs where maintaining mission readiness is key. Our goal is to give Service members the information, motivation and support to stay or become tobacco free for themselves, their families and their units. Someone trying to quit tobacco is more likely to be successful when they have a strong support network. We equip friends, spouses, coworkers and family members with the tools they need to help someone they know quit tobacco and stay quit for good. Health professionals, tobacco cessation facilitators and health educators provide programs and support to Service members that are critical in helping tobacco users quit successfully. We’re here to support health professionals and health promotion coordinators for each Service on this mission by providing resources they can use to educate and support Service members or enhance tobacco cessation programs they already have in place.